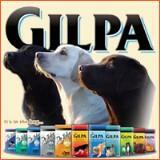 As a complete diet for growing dogs from after weaning or preferably around half adult size until fully grown. A complete, chicken based, small triangular crispy extrusion with appetising aroma providing a satisfying delicious fixed recipe diet that suits a wide range of breeds. 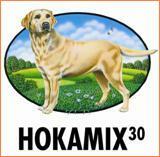 As a complete diet for growing dogs from after weaning or preferably around half adult size until fully grown. Provides for steady sustainable growth and great conformation whilst guaranteeing a strong healthy young dog capable of coping with stresses and strains of adolescent life. Wheat, poultry, poultry fat, maize,wheatfeed, yeast, whey, flax seed, FOS, yucca extract, minerals, trace elements and vitamins, including zinc chelate. With EEC permitted antioxidants.